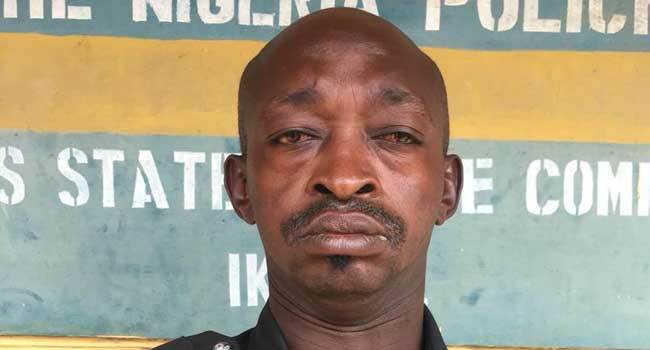 The Nigeria Police Force has dismissed an officer, Inspector Kadima Useni, who it said was found drunk while on duty around the Akowonjo, Dopemu area of Lagos State. This was disclosed in a statement issued on Wednesday by the Police Public Relations Officer in the state, CSP Chike Oti. According to the statement, the Inspector General of Police, Ibrahim K. Idris whose attention was drawn to a video of the drunk officer, immediately directed the state Commissioner of Police, CP Imohimi Edgal, to discover his identity and mete out an appropriate disciplinary action. “The policeman who was stupefied after guzzling large quantity of alcoholic beverage was located and apprehended today 07/11/2018 at Police Mobile Force Squadron 22 Base, Ikeja, where he served by the Command Provost. “During interrogation, the officer affirmed that he was the one in the video, he was therefore tried in orderly room and summarily dismissed to serve as a deterrent to others,” the statement read. The Commissioner of Police also directed the officer in charge of the Command Provost Section to embark on a tour of all police formations and barracks within the state to shut down all beer palours within the police community to avoid a recurrence of such. Furthermore, the CP warned all officers to desist from drinking alcohol while on duty.